Ruth Levy was born in Berlin, Germany, in 1925. In 1939, she escaped with her family to Canada on the last passenger boat out of Europe before the war began. 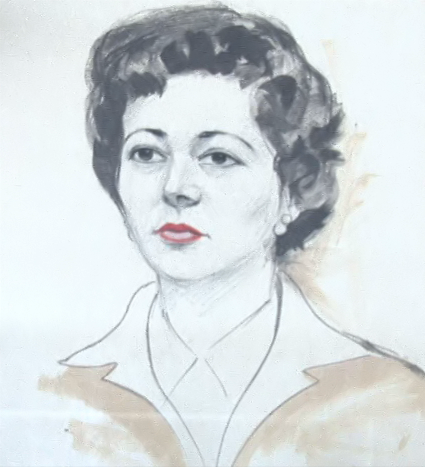 Ruth made Montreal her home, married, and raised four sons. In preparation for Expo 67, sensing an opportunity, she and her husband founded a hotel, which Ruth ran, and where all four of her sons worked. A talented sculptor for decades, Ruth has more recently taken up a paint brush and become a prolific painter. Her home overflows with her colourful paintings; sculptures; various collections from travels around the world, and photographs of her family. Ruth makes it a priority to have food on her dinner table every Shabbos for her children and grandchildren. She is a firm believer in the power of food to keep a large family together.